Cruises From Puerto Rico – Virgin Islands or Aruba? There are many options when it comes to cruising this season. One hard choice travelers are finding is which direction in the Caribbean they should venture out into. 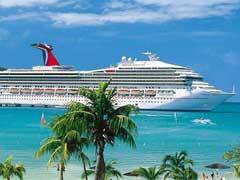 Leading destinations are cruises from Puerto Rico to sail either to the Virgin Islands or Aruba.